South Africa showed solid signs of growth in 2011, with a significant 9.7per cent rise in international visitors for the first quarter. It is hardly surprising that at last year’s prestigious World Travel Awards ceremony, South Africa bagged an award for the World’s Leading Travel Commercial, while South Africa Tourism was named Africa’s Leading Tourist Board and has been nominated once again this year. New markets including India, China and Brazil are emerging, while traditional feeder markets hold steady – with loyal guests wanting to return again and again. Mr Marthinus Van Schalkwyk, minister of tourism, in consultation with the National Department of Tourism (NDT) and South African Tourism (SAT), addresses the issue in an exclusive interview with Breaking Travel News and explains why he believes the future looks very bright for South Africa. BTN: What impact has the shift in the global economy and the rise of emerging markets had on South African tourism? MVS: The shift in the global economy and the rise of emerging markets has certainly had an impact on South African tourism. Our traditional feeder markets (UK, Germany, USA, France, Netherlands and Italy) are holding steady in difficult global conditions, while India, China, Brazil and African markets have emerged as markets with great tourism potential for South Africa. By April 2011, arrivals from India were up more than 50 per cent on our 2010 figures, Chinese arrivals had grown 25.6 per cent and arrivals from Brazil had grown more than 38 percent. Democratic Republic of Congo arrivals had grown more than 21 percent and arrivals from the United Arab Emirates had grown almost 31 percent. The most recent 2011 quarterly statistics released by Statistics South African show a 7.5 per cent overall year-on-year increase in all arrivals, with overseas arrivals growing 9.7 per cent. BTN How important is it for destinations to get onboard e-marketing and social media? In what ways in South Africa making itself more accessible? MVS: Social media has become the very oxygen of travel and tourism consumer behaviour. More than 80 percent of people, who buy a travel experience, investigate and research destinations online before making their purchase decisions. People make decisions on where to go on holiday based on the recommendation of others. Social media conversations and engagement drive arrivals.Not only do they visit the websites of places they are thinking of visiting, but they also use the social media platforms to talk to each other about destinations to get personal recommendations from people like themselves on where to go; when to go; how to get there; how much it will cost and so on. Destinations that are not part of this conversation (and that do not pay heed to consumer destination research habits online) are absent from the social media platforms at their peril… and at their cost. With the role of E-Marketing assuming greater significance, we’re increasing our capacity in this area to continue to ensure South Africa is top of mind globally and easily accessible. On the sales side, we have joint agreements with the three biggest travel platforms – expedia, trip advisor and wayn.com. BTN: On the heals of hosting the inaugural Sport & Events Tourism Exhibition (SETE), can you discuss the significance of sports tourism for the industry? MVS: Globally sports event tourism is worth about US$600 billion a year. South Africa is determined to grow its share of that market and to this end recently held the inaugural Sport And Events Tourism Exhibition (SETE) that is set to be the platform at which South African sports, events and tourism products and services take centre stage to facilitate strategic business links and focus on practical ways to enhance the bidding for, promotion and management of mega sports and recreation events in South Africa. 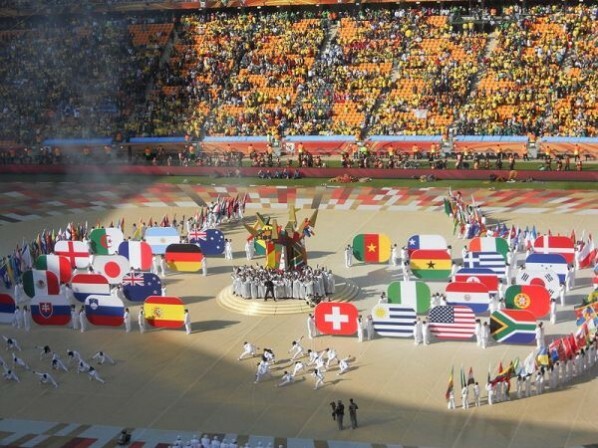 South Africa has an exemplary record of hosting major world sporting events. We have successfully hosted a Cricket World Cup, a Rugby World Cup and a Soccer World Cup. We have also hosted large events such as ICC Champions, T20 Cricket international events, the 2009 Confederations Cup… If we couple our experience in big event hosting and our infrastructure and capability with a solid strategy and strong collaboration between the local sports and tourism industries, which the inaugural SETE seeks to achieve, then there’s no reason South Africa can’t become a major player in global sports tourism. BTN: Do you see a bright future for travel and tourism? MVS: We believe the future looks very bright. South Africa’s arrivals (a year after the World Cup) are good. By April year-on-year foreign (overseas) arrivals had grown 9.7 percent. We have campaigns in our key markets and on the global platforms that deliver billions of consumers to us. Seven airlines have already (or will be) operating new flights into Cape Town. At this stage these equate to an additional 20 flights a week into South Africa, giving evidence of the strong confidence the international sector has in our destination. BTN: What are the main challenges ahead for South African tourism? MVS: South Africa is subject to similar challenges that destinations all over the world face. There is, in the wake of the World Cup, an oversupply of tourism infrastructure and accommodation. A recent survey found that South Africa has gained about 21 percent more hotel rooms than it had in 2007. The world continues to hurt from the 2008/2009 recession and consumers are concentrating on getting back on their financial feet. This means keeping up with essential expenses, and sacrificing luxury buys like travel. Airfare (pushed up by rising fuel costs) to South Africa is seen as costly… especially from the traditional markets. Airport taxes push the cost up further. We see this in modest arrivals growth from the traditional markets where travellers are now choosing short-haul holidays instead of trips over to long-haul destinations. It’s also become far more expensive to run a tourism business. The costs, in fact, of operating a business have risen by an estimated 22 percent in the last three years. Rising costs are driven by the cost of electricity, water, municipal levies, labour and food prices. Businesses, understandably, struggle to remain viable when demand for their services wanes. Buying more affordably is also a real factor in global travel behaviour. This is unsurprising given the economic conditions that the world is recovering from. And it accounts, at least to some measure, for diminishing support in some sectors of the local industry. The issues come down to one thing: economic forces demanding a correction in the supply and demand structure of the industry. BTN: What sets South Africa apart from any other destination? MVS: South Africa’s natural beauty is rivalled, we believe, by no other destination on earth… from beach to wilderness to mountains, the scenery is spectacular. Our safari offers are justifiably world famous. But South Africa offers more than beautiful vistas and the untamed Big Five. The destination offers warm, friendly welcoming people – a nation that welcomes tourists into their homes, villages and families. South Africa also offers unsurpassed infrastructure in big, friendly cities with amazing nightlife, shopping and dining. South Africa has become one of the most desired holiday destinations in the world today… and we are working hard to ensure it maintains that status year after year. For the lowdown on what’s hot in South Africa, visit a range of innovative mobile websites, from CapeTown.Mobi to portelizabeth.city.mobi or Bloemfontein.mobi as well as Joburg.city.mobi and Durban.city.mobi to find out the latest accommodation options, bars, restaurants and attractions. These are the latest in an illustrious line up of travel guides, with over 800 cities in 200 countries listed. Each is developed by the City.Mobi team to combine into a single global travel directory.